It is often useful to be able to change the text or wording of something in Event Espresso in order for it to fit in with your site and audience better. You can hunt through the code to find the strings (text) to replace but there is a much easier and recommended way: use Poedit to change the language files. What happens is you take the language file (in this example we will work with US English) and translate it, in order to change the text. 1) We recommend downloading and installing Poedit for working on translation files. 2) After you install Poedit, you can download a copy of the event_espresso-en_US.po file from our GlotPress project. Then you can open it in Poedit. 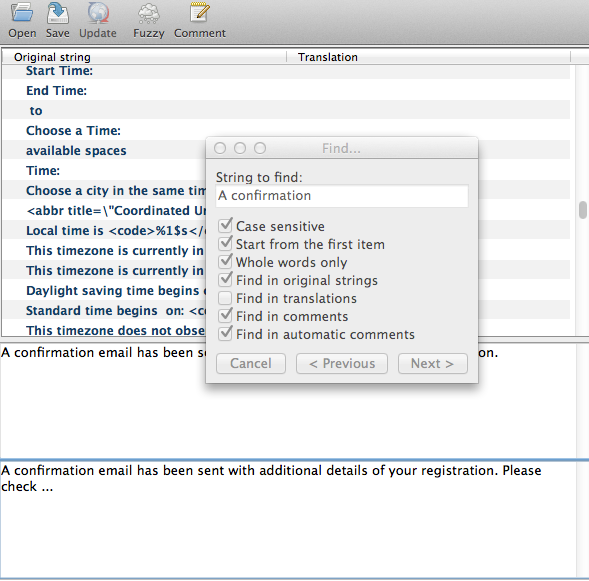 3) Use the Find tool to pull up the text string you need to modify. 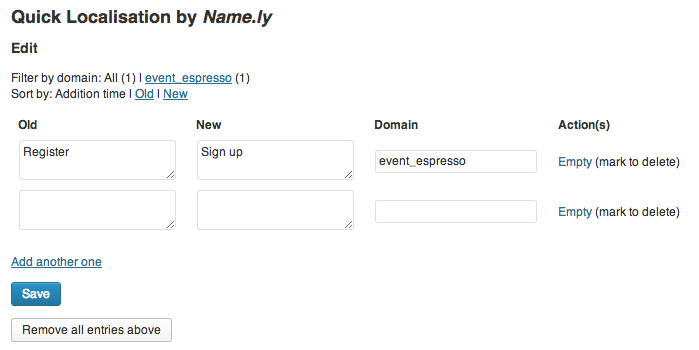 5) Save, then upload the newly generated .mo file to the wp-content/uploads/espresso/languages directory on your server. 6) Keep a copy of the modified language files saved somewhere in case you need to re-edit it or re-upload it.